Charlotte began her healthcare career in 1997 as a massage therapist. 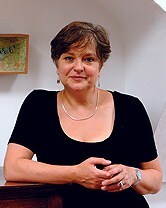 She went on to study Traditional Chinese Medicine Acupuncture at the University of Westminster – including the study of Chinese massage; nutrition and qi gung techniques – completing her degree in 2003. In 1998 she developed an interest in yoga whilst traveling in India, learning from an inspirational teacher who helped her to understand the benefits of the yogic path. She returns to Asia frequently. Through Clerkenwellbeing Charlotte’s goal is to create and nurture a like-minded community of healthcare professionals whose businesses and work can thrive and be enhanced by their shared strengths and expertise. As well as developing and deepening the skills of its practitioners, it is Charlotte’s vision that Clerkenwellbeing will offer people a place where they can take well-being of mind, body and soul into their own hands.